Believe it or not, I don’t like lawsuits. I suppose that is why my practice is dedicated at least on some level to helping people avoid them. However, the prospect of being sued can be a powerful deterrent for bad actors. That’s where copyright registration may come in handy if you are the author of original works, including musical compositions. I mentioned a couple weeks ago that when you reduce your original musical composition to a tangible form of expression, i.e., by recording it, you have created a copyright in that composition for yourself. So why then might you then consider registering your copyright with the U.S. Copyright Office, a process which requires you to do something and pay some (nonrefundable) money? 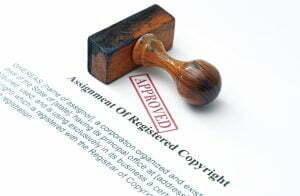 One reason is that you establish a claim to your copyright with the Copyright Office, where the details of your ownership and any prior publication of your composition are recorded. Keep in mind that you can register your copyright in the musical work, the sound recording of the work, or both. Copyright in the musical work covers the music and any accompanying lyrics, independent of the recording, as long as you provide an adequate deposit. Copyright in a sound recording is specific to the recording submitted and may not be important at the early garage demo stage of your career. Registration accomplishes some important goals. 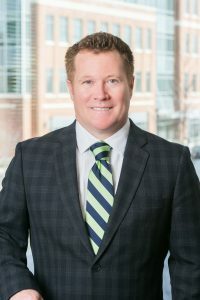 First, it can create a presumption that you have valid legal rights in the work registered, which comes in handy if you need to sue somebody for infringement, in which case they may have to overcome that presumption. Speaking of suing for infringement, remember my neighbor from two weeks ago who cashed in on his recording of my smash hit? Well, if I want to get something out of it in court I may have to show that I suffered a financial loss of some sort. However, if I had registered my work, I may be entitled to statutory damages (up to $150,000 per work if infringement is deemed to have been willful), which don’t require forensic accountants to calculate. This can be a powerful deterrent! Typically, registration fees are less than $100 per musical work, and you may be able to register multiple works as a collection if you are too cheap to register them individually. In addition to getting out your wallet, I mentioned you will need to provide a deposit, which in layman’s terms means a tangible recording of the work to be registered. You may also be able to provide sheet music with or without lyrics. Now you are thinking this could get expensive because you have to go out and fund a recording, but as long as the nature of the work is clear, your deposit can be of relatively low quality. If you would like to hear an example of how bad your deposit can be, go here and you will find a creation by yours truly and his cronies circa 1998.